Who has time for slow drains and standing water? 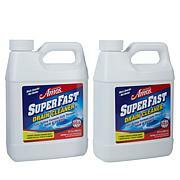 Power through slime and grime to dissolve clogs with Professor Amos SuperFast drain cleaner. 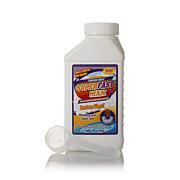 Its Accelerated Formula opens tough clogs fast. 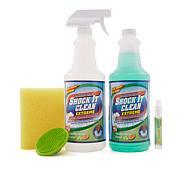 Use it in kitchen sinks, bathroom sinks, laundry sinks, showers and tubs. Plus, it's safe for use with septic systems too. SuperFast does the dirty work so you won't have to. Do not use with ammonia, acid, bleach or any other chemicals. Never use with a plungers as splashing can occur. Never use in toilets, urinals, garbage disposals or dishwashers. Store in a cool, dry, properly ventilated area. Keep separate from reactive metals such as zinc and aluminum. Keep container tightly closed when not in use. PA drain cleaning is one of the best ever used. It really works fast and helps to keep you pipes in working order. I thought it was another item that looks great on tv but probably wouldnt work when I received it, but I was amazed at how well it worked and my drain works perfectly now! I couldnt believe how well it worked! I love it. It is great. All I can say is this stuffWorks. Ive used it in kitchen both bathroom sinks plus tub to clean out. 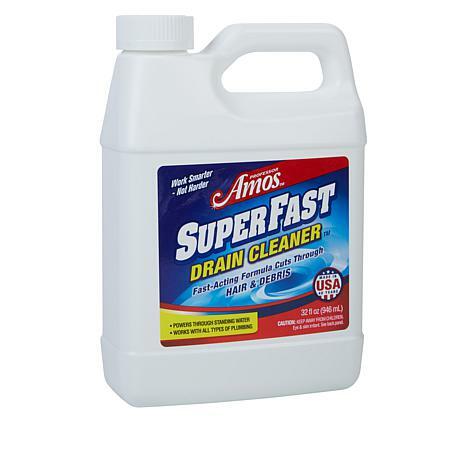 I would recommend this over the old drain cleaners works better. I used this product to clear the drain of my bathroom sink. I poured the product in, let it work its magic overnight, and then ran hot water for a few minutes this morning. Voila! The clog disappeared. No plumber required. 2 thumbs up! Work smarter, not harder. That's the philosophy of self-made cleaning guru Professor Amos. He believes your cleaning experience should be fast and enjoyable. Known for his line of soapless cleaning products, Professor Amos was an innovator of the first cleaning infomercial and has demonstrated his products on a popular late-night talk show. Today, his full line of cleaners sells on HSN and all over the world. Remind me about Professor Amos upcoming shows.